The New York City pizza scene is pretty serious. Everyone claims they know who makes the best of the best and it’s rare to find two New Yorkers with find the same new trendy shop their favorite. The beautiful Dontatella Arpaia may seem a little intimidating as a judge on The Food Network, but she uses her business sense and talents in the kitchen with chef Jarett Appell to make pizzas delicious enough to be on a top list for thin crust pies in NYC at her Chelsea restaurant, Donatella. 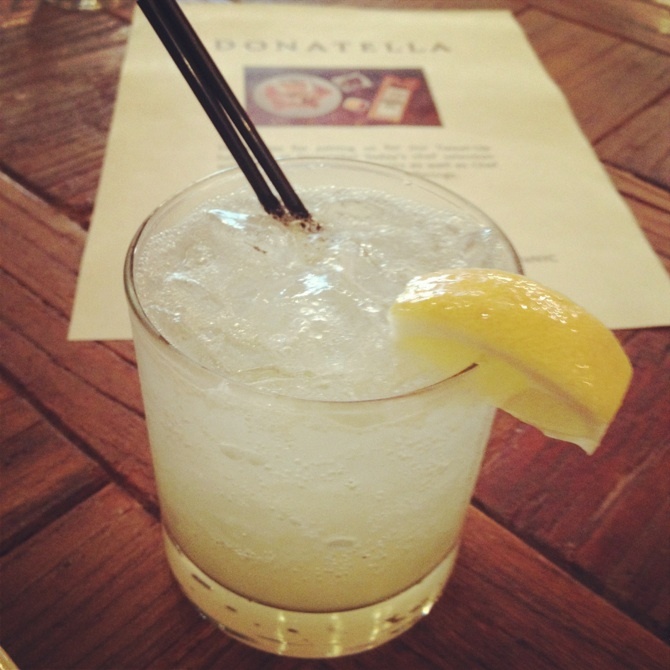 Last week I had the pleasure of dining at Donatella, along with the lovely Donatella Arpaia and fellow food bloggers. Chef Jarett Appell expertly prepared each dish, spoke about his inspirations for new menu items and even shared his secrets to why their pizza is so darn good. 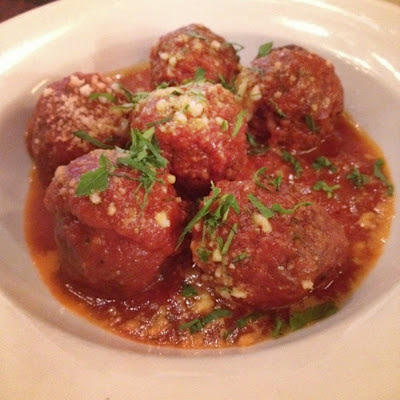 We enjoyed a taste of their summer menu plus a few menu standards, such as the famous Tomato Braised Veal Meatballs. We spent the afternoon sampling and sharing our meal with the world – tweeting, Instagraming, Facebooking and now blogging, of course. 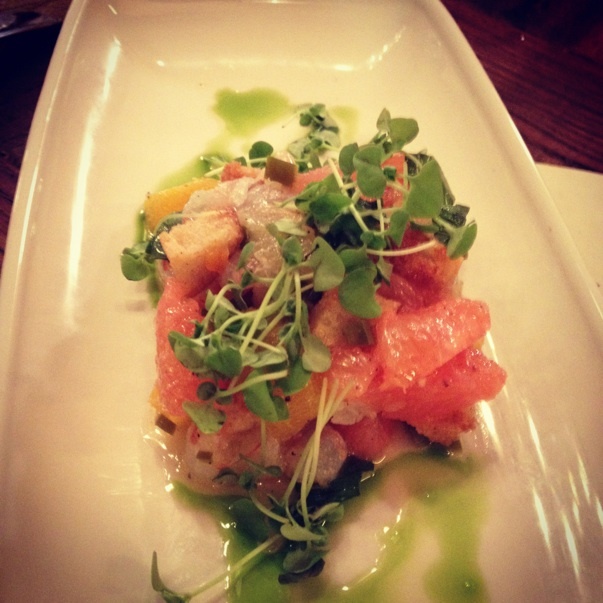 When dining at Donatella, start with some of their light seafood fare, such as Yellowfin Tuna Tartare (with mascarpone and crispy shallots) and Rock Shrimp Crudo (with spicy pickled pepper, panzanella, citrus and basil). These dishes are perfect to get your palate ready for heavier dishes of carb-happy pasta and pizza. For a pasta course, the Capellini (with fresh tomato sauce, chili, toasted garlic and breadcrumbs) has a spicy kick. The Housemade Pappardelle (with marinated pork shoulder and pecorino) is a savory plate not to be missed for meat lovers. 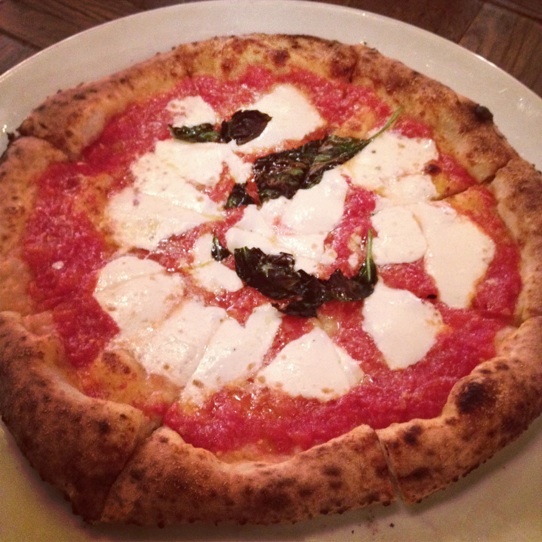 When judging the true talent of a pizza chef, what better way than to try the standard? The Margherita Pizza (San Marzano Tomato, buffalo mozzarella, pecorino and basil) may be a basic staple, but there is nothing boring about the flavors here! 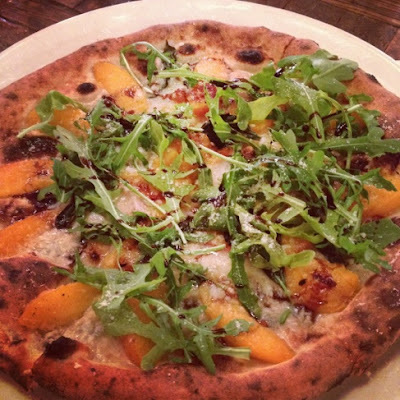 For those who love a bit of sweet with their savory, the Montesanto Pizza (roasted apricots, gorgonzola dolce, arugula and vincotto) fits the bill with moist apricots that aren't overly sweet, against pungent cheese. 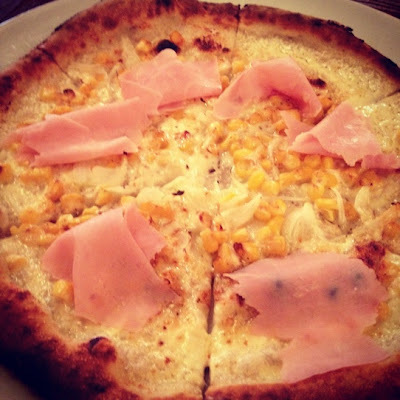 The standout specialty boasted creme fraiche, jersey corn, spring onions and prosciutto cotto. Corn on a pizza, you ask? Yes, please! Order this special a.s.a.p. before it’s off the menu. Pastry chef Andrea Jarosh presented us with a range of desserts fit for even the sweetest sweet tooth. Her version of an ice cream sandwich - a rainbow cookie with a cake-like consistency held together by homemade vanilla gelato - stole the show. 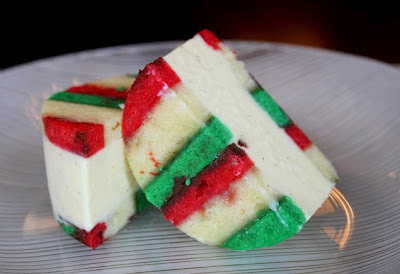 It may just be the best ice cream cookie NYC has seen this year! While Donatella offers more than pizza, they are setting a standard for gourmet pies with creative twists. Visit Donatella for a leisurely lunch or date night soon to enjoy their outstanding Italian menu along with a casual, yet trendy ambiance. I absolutely adore Donatella... the food is so good. Great write up! Join Bright Lights, My City on Instagram!